Due to productivity improvements, long life, reliability and reduced down time become key issues. 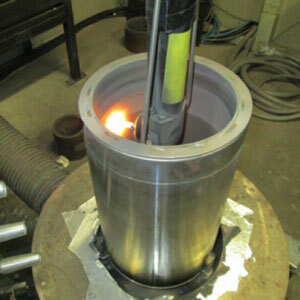 Flame Spray works closely with oil & gas companies to develop and provide the highest quality engineered coating solutions for oil & gas application components such as valves, drilling heads, pumps, compressor rods and hydraulic components. 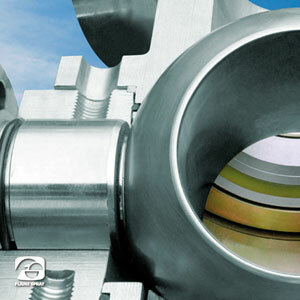 Flame Spray offers its customers long experience in the coating and grinding of valves. Caboflam H trademark identifies Flame Spray's technological processes for carbide coatings in metallic matrix through high-pressure combustion equipment (HP/HVOF). These types of coatings exhibit excellent bond strength, higher micro hardness and density than those produced with traditional detonation equipment. 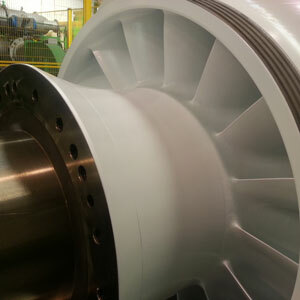 When operating an axial or a centrifugal compressor, the problem of "fouling" arises, namely the continuous contamination of the surfaces of the blades or of the impellers with oil and dust, particularly of the first compressor stages at the inlet of the compressor. This generally increases the surface roughness of the components in the gas path, decreasing the total efficiency of the machine. The use of antisticking coating can reduce service stops to clean the components. This coating combination protects metals from corrosion (like steel, Ti-based alloys) on the basis of galvanic principle. 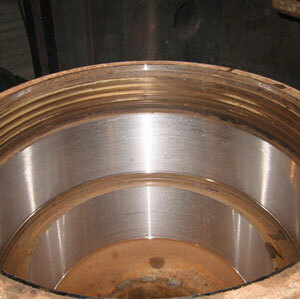 Sliding wear in rotating components, such as bearing journal areas for shafts, is a lifetime limiting factor. Also reciprocating compressors, are subjected to very high wear phenomena in the sliding areas of the liners, bushes and stems. For all these wear problems a Caboflam™ series coating is an excellent solution. Where also corrosion, together with wear, is a critical factor, an Alloy 500 series hard metal coating can enhance the service life cycle of your parts. Flame Spray has developed a specific process, Alloy H 500 series, for metallic coatings through high-pressure combustion equipment (HP/HVOF). A peculiarity of the Alloy H 500 series processes consists in the possibility to obtain very dense coatings with excellent bond strength, better oxidation, and corrosion and wear resistance than those produced with traditional detonation equipment. Flame Spray has developed a specific process, the Spraylast™ series, for ceramic coatings through Air Plasma Spray (APS) equipment. A meaningful cost saving can be achieved by refurbishment via a high velocity wire spray process followed by final machining of expensive components subject to wear in long time operation. Flame Spray offers a complete portfolio of materials to match at best the characteristics of your components base material. 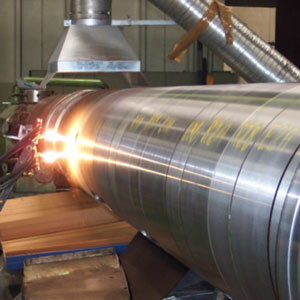 W-Steel is a Flame Spray qualified process for steel coatings through thermal spraying. Different W-Steel coating solutions can be chosen according to the customer’s needs. All W-Steel solutions are perfectly suited for dimensional refurbishment of mechanical components. W-Moly is an essentially pure molybdenum coating applied by flame spraying. It bonds directly to clean metal surfaces without other preparation forming an ideal surface for the application of another flame sprayed coating. Used by itself it provides a hard, longwearing surface, particularly where thin coatings are required. Increasing costs of fossil fuels force oil & gas companies to develop ever more efficient systems to extract them and to explore more challenging environments, where corrosion and wear become limiting factors for the drilling components. Flame Spray wear resistant coatings, like Alloy 500, Caboflam™ and Spraylast™ 300 series are a valid solution against wear or corrosion or a combination of them.